Can someone tell me a part number for heater motor resistor on my 71 with factory A/C. 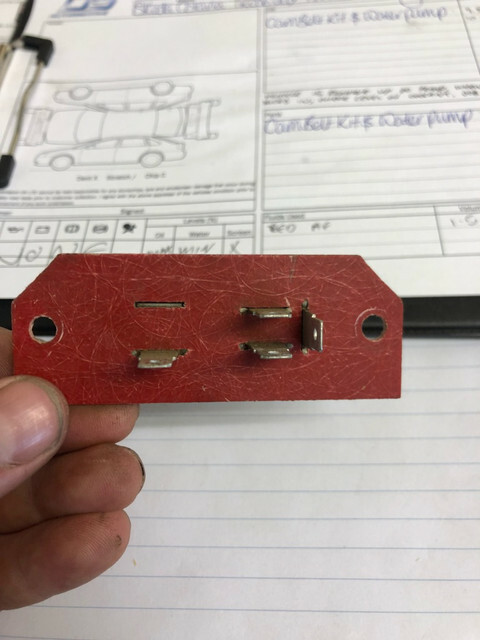 Pegleg, The blower motor resister for factory AC 67-73 Mustangs is C8ZZ-19A706-A (ID# C8ZA-19A706--A) There was another number originally released in 67 C7ZZ-19A706-A (ID# C7ZA-19A706-A or B) that was replaced by the 1968 part. Looks as though you will have to try the Scott Drake repo or a used one like offered from West Coast Classic Cougars.